I accidentally captured this image whilst pointing at a random area of the sky. It was a windy night & I just wanted to do a quick test of my new guiding setup. I was just in the process of focussing and downloading short subs and saw this on one of them. I see loads of planes flying around whilst imaging but this is the first time that one has flown right through the centre of my FOV. 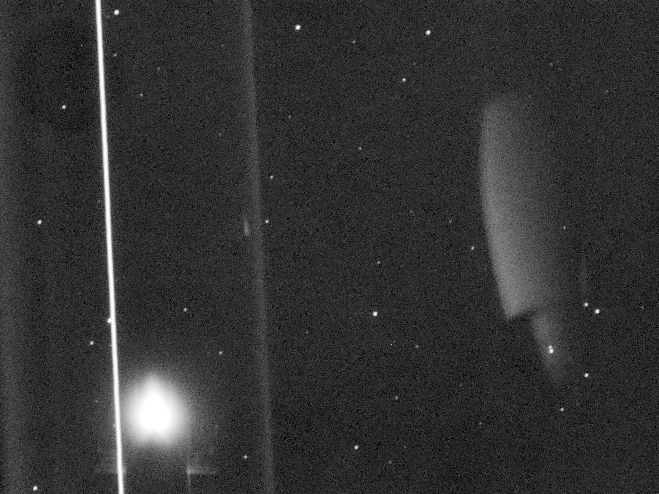 Image was captured on night of 2nd May 2011.